Focusing is good on this lens but not outstanding. It is smooth and quite good for its size but I prefer bigger focusing ring for better precision on focus. Closest focusing distance is less than 1 feet. Night shooting with this lens is found very capable and adequate. I tried few night time shots in ISO 400 ranging from 1/30 to 1/10 of a seconds and all shots come out nicely in f/2.8 aperture. Though not a true pancake lens like the M 40mm f/2.8 or Pentax DA 40mm f/2.8, this one is as close as you can get inexpensively for a small size 28mm prime. It will work like a charm in Pentax film bodies as in Pentax MX, SuperProgram, ME Super. This is a great lens, I use it on my K10D as well, well, i DID until I loaned it and a K1000 SE to a friend. But it should be fine, even with the fungus. Thanks for the inputs. 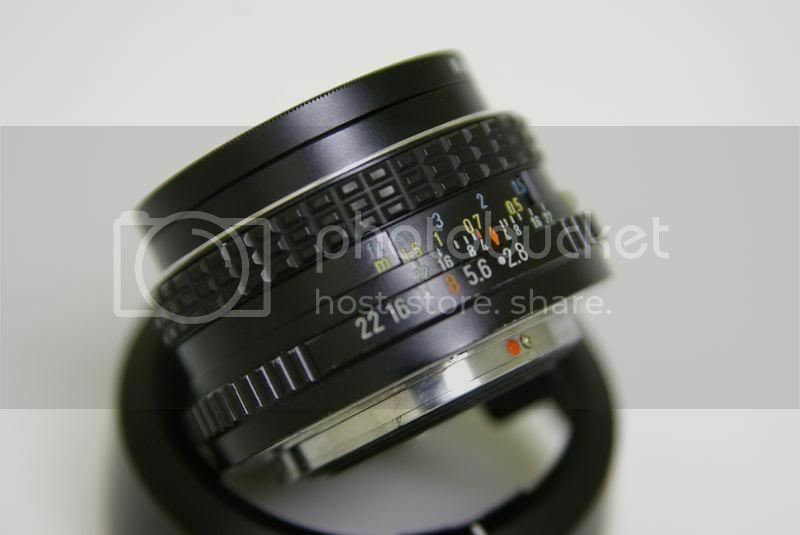 After further testing, I have decided to keep this lens until I can afford the pancake as in Pentax DA 21mm limited. I call this the poor man's pancake for myself. Recently purchased this lens(it has fungus also)at a cheap price. I use it with a K100D Super to good effect. Lovely photos. I find MOST Pentax SMC's and SuperTakumar's give pretty superb results. 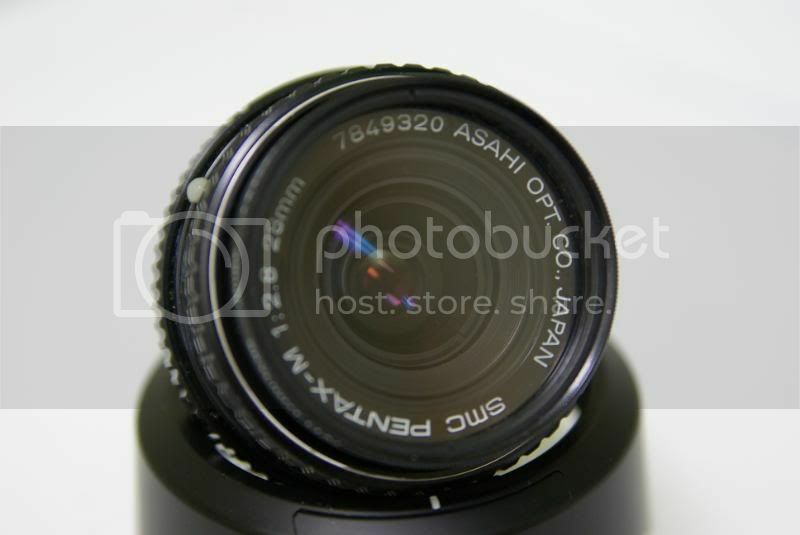 Now a 28mm with a wider aperture than 2.8--that's harder to find. Just got one myself this morning - I like it! A poor mans pancake lens - exactly right. could you tell me the name of the bag's model? I am afraid that there is no model number in the bag to tell you. I got it as a gift from my relatives back in Asia. I never see this bag available in US or Pentax site. It may be one of those items only available in Asia as in Japan, Hong Kong and Macau. The bag itself is the perfect small size bag for me for 1 body with a mounted lens and good enough to take on at least 2 lens and accessories. Unfortunately, the bag internal dividers looses its function and start collapsing after 1.5 years of usage.